Well I guess we know who America’s TOP Drug Dealers are-(CIA)The Criminal Intelligence Agency. a five year old story. Most people have a lot of catching up to do, though. I’m sure its still happening to this day, every day. The CIA used to run smack out of the Iron Triangle at the height of the Vietnam War they owned a company called Air America at the time. Or, if street drugs like marihuana, opium, herion, cocaine were decriminalized and allowed to be sold and taxed there would be huge decrease in organized crime. However, those at the top of the piramid would lose, i.e. any organization, including the CIA, who benefits from the illegal trade would lose huge sums of money by making it a controlled substance like alcohol. Legal to buy, with restrictions on age, etc. Make the drugs legal, let the government run it, then no one would make a profit. This story is from 2011, but if you think things are different now….you’re wrong. the CIA is responsible for the drug wars? I could not have written a better article. All but to say that in the paper today there is a 38 year old man in Camden NJ . Reported to be a drug dealing “Blood”. For selling what compared to this story is a minimal amount of cocaine to an undercover agent……anyone else see the irony behind that?….. Anyway…… This man faces 40 years in prison and or 2 MILLION DOLLARS IN FINES !!!! Well how nice that no one attached to the CIA drug smuggling was even found. The CIA of course won’t comment, and inside the US we are not only receiving all the destruction of drugs but the war on drugs by government that the government itself PROVIDES!!!! Time for trials of treason. Time to build the gallows. I will gladly volunteer and I do NOT need a black mask! Wow! This is the reasoning behind America’s Heroin Epidemic attacking young adults! -One of our other reporters here, Jim, worked at a trucking company in Bridgeport, CT, USA- where one of the most intelligent and well informed mechanics he ever met found 3 bricks of heroin on top of his duffel bag when he came home from Vietnam. The Mechanic called the FBI. The FBI came to his home, took a look and told him to take a vacation until further notice while they staked the place out. A couple weeks later they contacted him and told him they caught their man, a CIA guy who missed the plane in Hawaii and followed his leads to Connecticut- Of Course this never made the local news, or any news before this mention here. -Pres. Bill Clinton’s Friend who ‘Committed Suicide’ while Bill was in office, supposedly told the wrong person he was going to blow the lid off the Mena, Arkansas airport connection to the Iran Contra deals. 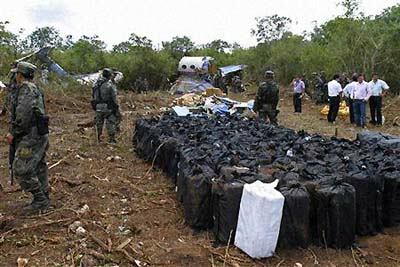 Cocaine came in to Mena from their guys in Central America, was off loaded for distribution around the USA – Guns and ammo for the Contras was loaded on to the planes there for shipment back toward Nicaragua. -Medical examiners had to lie to stay alive when they reported that it was possible for the pistol used in the ‘suicide’ to end up where it did. -Another thing to look into is Sonny Bono’s death. He was supposedly about to blow the whistle on some not so nice US agents. Look through the archives at Coast to Coast am, do a search on Sonny Bono’s death. Wow! That’s incredible! The hidden lies in America many are unaware of is very alarming! Thank you for your insight. We all must speak the truth to protect all American Citizens from hidden corruption!